The TweedyDrive starts where the TweedyVerb stopped. With an added overdrive section, this amp is still a very loud 40 watts (dual 6L6) in a “Champ” sized package. With a smooth and musical overdrive and a tube serial effects loop, you may be done looking for the amp you have always wanted. 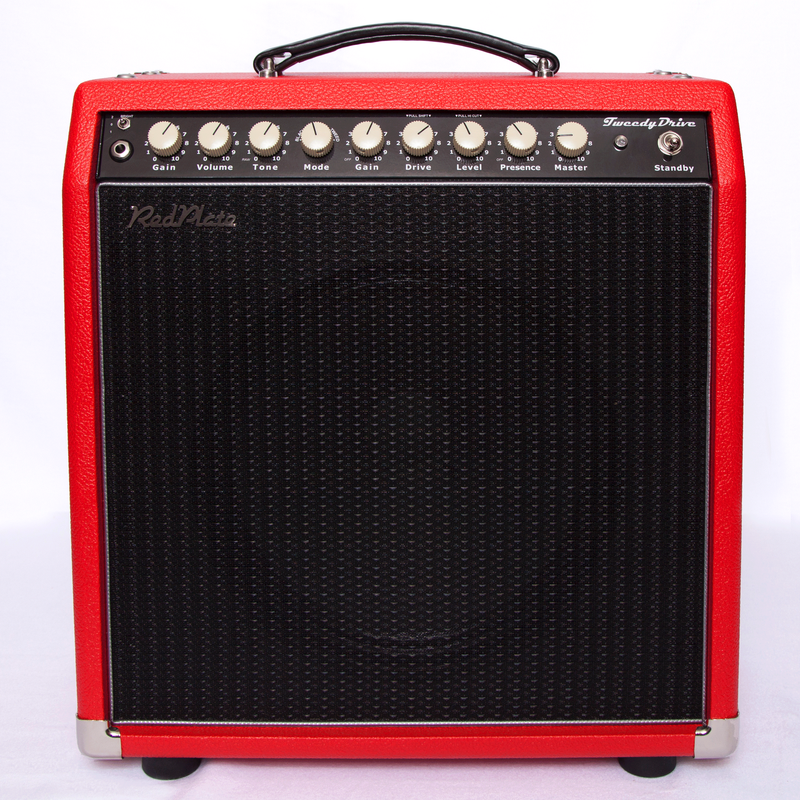 ​Also available as a 22-watt (dual 6V6) powerhouse. ​6-way Mid Q (mode) Switch - Blackface-type tones to funkier Brownface tones all the way to dirtier Tweed tones. 3-Way Bright Switch – Playing a darker sounding guitar? 2 different bright modes give you the flexibility you have always wanted. Tone Stack Bypass – Turn the Tone knob all the way counter-clockwise and remove the whole tone stack from the circuit to get a “guitar- straight-to-volume-and-master” path that is clean and powerful. Presence Bypass – Dial in just the right amount of brightness or remove the presence control from circuit for more bright tone with more output. 3-Button Foot switch – The foot switch lets you choose a Tweed mode (takes you right to the tweed mode on the 6-way Mid Q), Overdrive and Boost. Foot switch uses a standard midi cable for easy replacement. Hi/Lo power switch for lower output and earlier breakup. With 6L6 approximately 40-18 watts or with 6V6 approximately 22-10 watts. 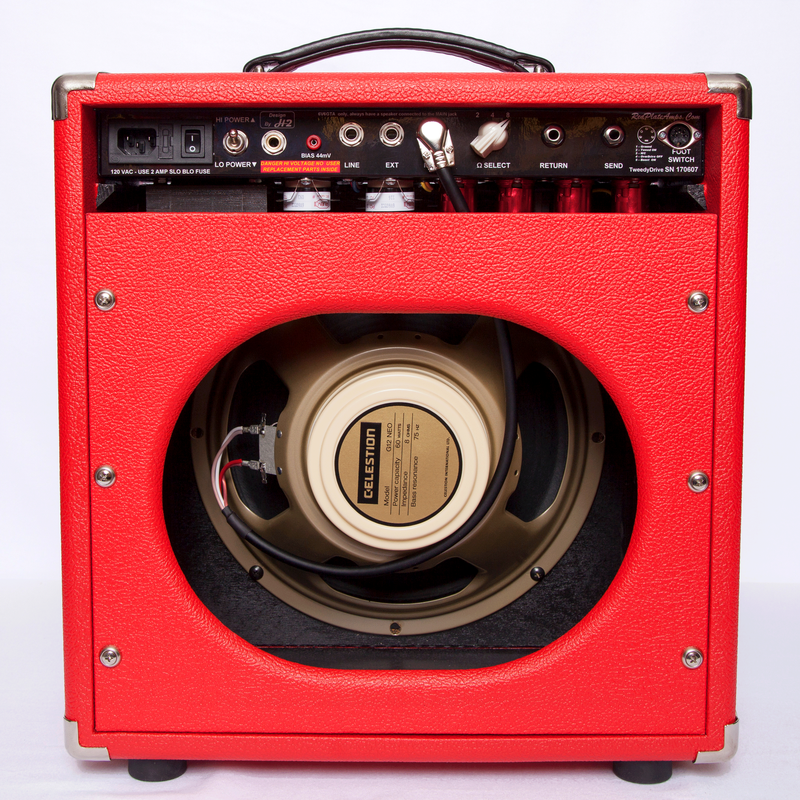 Combo comes standard with Celestion Creamback 75 speaker. Here is a quick clip of Doup Bossi playing the 22 watt version of the TweedyDrive at the 2017 LA Amp Show.